The Monument to the Rt. 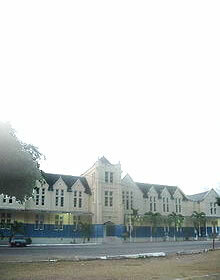 Excellent Marcus Garvey was designed by the Government Town Planner, G. C. Hodges in 1964. 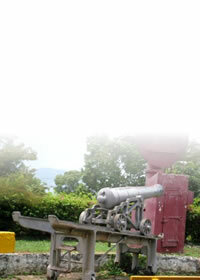 The work was executed by the staff of the National Trust Commission under the supervision of T. A. L. Concannon. 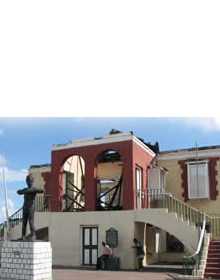 The body of Marcus Garvey was brought back from England, where he had died in June 1940, and re-interred at the site of this Monument. The burial vault, made from terrazzo and inset with marble, lies in the centre of a black star, which was a symbol Garvey used in his enterprises, for example, the Black Star Line Shipping Company. 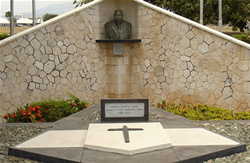 A bronze bust of Garvey by T. Alvin Marriot, which had been erected in another part of the Park by the Kingston and St. Andrew Corporation in 1956, was removed and incorporated into the design.